Welcome to this delayed edition of the MELT Minute! I apologize for the delay, but the MELT team spent a couple of days recovering from the Final Four! 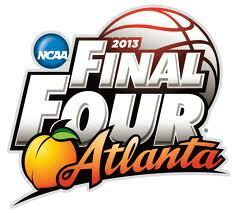 The 3rd year of the Turner / CBS partnership really began to bear real fruit with the production values, cross-network promotions, really great match-ups and near-universal availability of the games really continues to elevate the Final Four to “Super Bowl” status, or maybe higher if you account for a three-week celebration instead of one. The storyline with the injury to Kevin Ware of Louisville really tugged at a lot of heartstrings and really pulled in a lot of “casual” viewers. It’s amazing how he really galvanized the emotions of many fans and personified what the true meaning of “student athlete” is all about. My home city, Atlanta, really pulled out the stops with record-breaking attendance, concerts, and perfect weather. Look for Atlanta to be in contention for many big sporting events in the future. Look for an announcement as early as next week on the new SEC Network / TV channel. Backed by ESPN, it will be interesting to see when launched fall of 2015, how different this network will be from the PAC-12 & Big 10 Networks. It usually takes 5-7 years for these networks to come to maturity, but with the backing of ESPN and the success of SEC football, let’s see how long this one takes to blossom.